I'm spending the month of November writing 30 thank you cards. 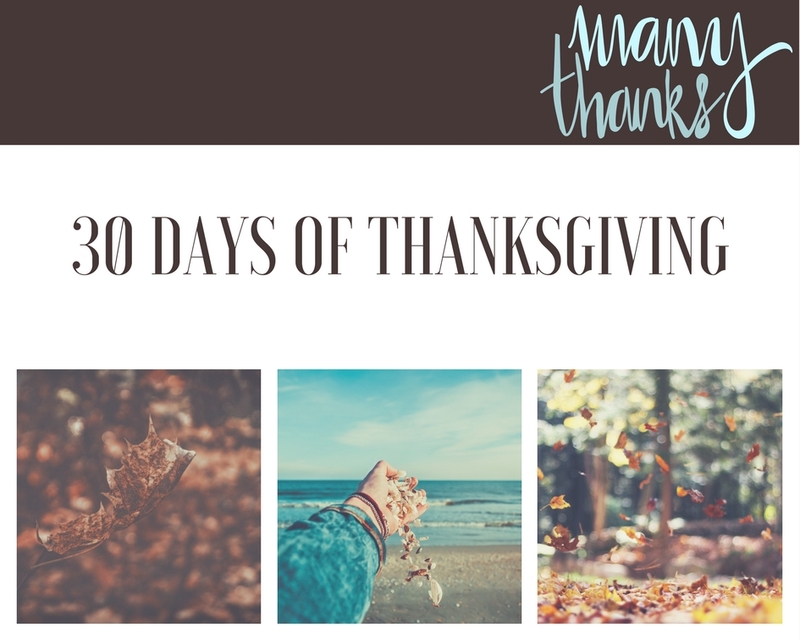 Will you join me by taking a quick moment each day this month to tell someone thank you? Whether it's a handwritten card, a Facebook message, a quick text, or a long conversation - you're thank you is important. There are people in this world that don't have sisters and I honestly have no clue how they are surviving adulthood, but childhood is a whole different story. Sisters are not always the best when you're growing up together, especially when you share a room. I remember drawing a line across the bedroom we shared and only allowing you step on my side when you were entering or exiting the room. No barbies were allowed on my side of the room. You keep your little girl toys on that side of the line, I need space for my Babysitters Club books. Obviously a mature tween with books about babysitters should not be forced to share a room with someone that still needed a babysitter. I was a brat. Now days you are always welcome at my house. I got rid of the Babysitters Club books a long time ago, but if I still had them I'd gladly give them away to make more room for you in my home and in my life. Thank you for being there for my kids. You are everything an aunt should be; a confidant, someone to giggle with, a comforter, a cheerleader, a tough lover and an adventure partner. Thank you for being a role model. I often respond to compliments by saying "wait until you meet my sister" because you are always better at whatever they are complimenting me on and I am constantly striving to be more like you. I watch you and it encourages me to be kinder, more patient, and to show more love. You have the biggest heart of anyone I know and I want to be more like you. Thank you for being a friend. This is where I feel bad for those women in the world that don't have sisters. How do they find a best friend? No one understands your life better than the one that has been there with you every step of the way. Thank you for being my person.